This webinar gives us an introductory historical examination of the intimate partner violence movement and its eventual reliance on carceral practices and policies. It will then discuss contemporary community-based interventions (commonly labeled transformative justice interventions), which build on community relationships and strengths instead of a dependence on incarceration and police interventions. 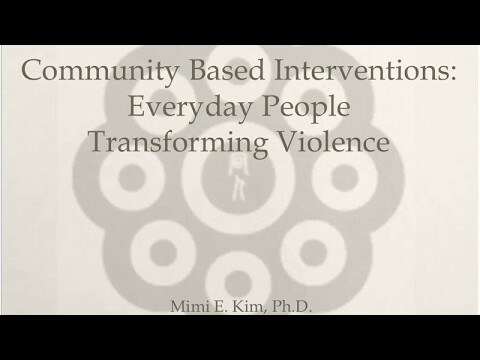 Mimi Kim is a long-time advocate and activist working on issues of domestic violence and sexual assault especially in immigrant communities of color. She is a co-founder of Incite! Women and Trans People of Color Against Violence and the founder of Creative Interventions (CI), a resource center committed to the creation and promotion of alternative community-based interventions to interpersonal violence. She is currently working on a California statewide capacity building project to implement the CI model and other Transformative Justice-related interventions. Mimi is an Assistant Professor of Social Work at California State University Long Beach.